I have often been critical of Kishore's articles but today I decided to translate his latest article into a thinking map. Done very quickly, this is what I have approximately. 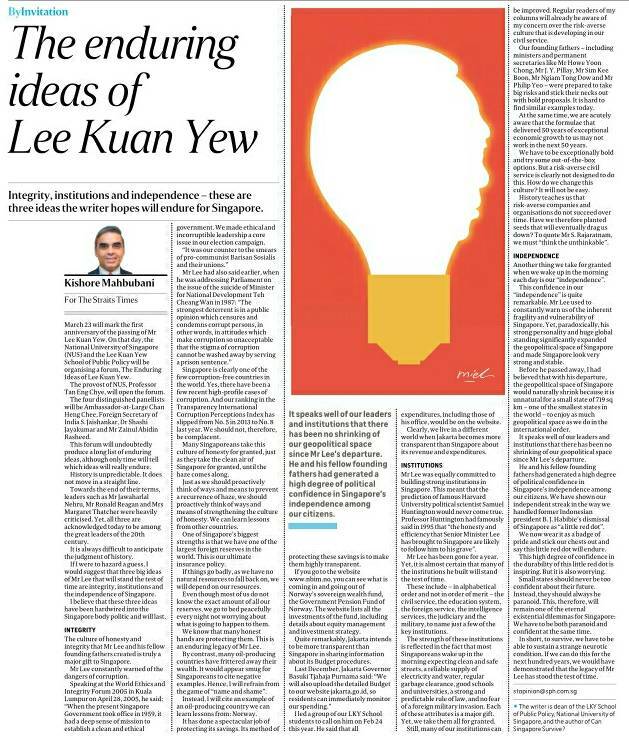 Kishore suggested three enduring ideas from LKY for the long term survival of Singapore: 1. Integrity, 2. Institutions and 3. Independence. To me "1. Integrityt" helps us to "1a. build right" We would be all over the place and working at cross purposes if leaders have no integrity and are surreptitiously serving their own agendas. "2. Institutions" helps us to "2a. stay right" The easiest to understand is how fast food giant McDonalds produce consistency and performance. "1a. build right" is no use if we cannot keep it "2a. staying right". "3. Independence" promotes "3a. 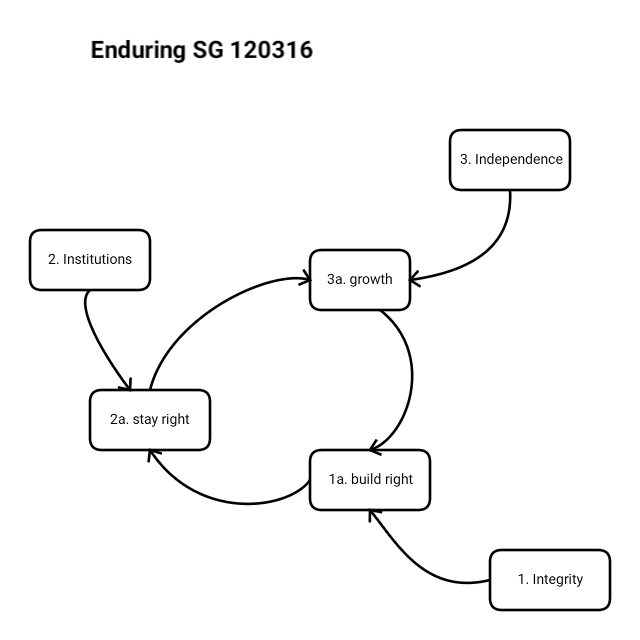 growth" because for a nation state independence equates to sovereignty. Imagine if we were unable to defend ourselves, our foreign policy is weak and we lack confidence, would we have succeeded in reclaiming so much land from the sea, i.e., "3a. growth"
Together 1a, 2a and 3a forms a virtuous cycle as long as 1, 2 and 3 are around.